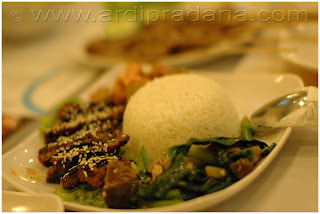 This week, we are reviewing one of the rarest restaurants in Surabaya, Vegan Cuisine. 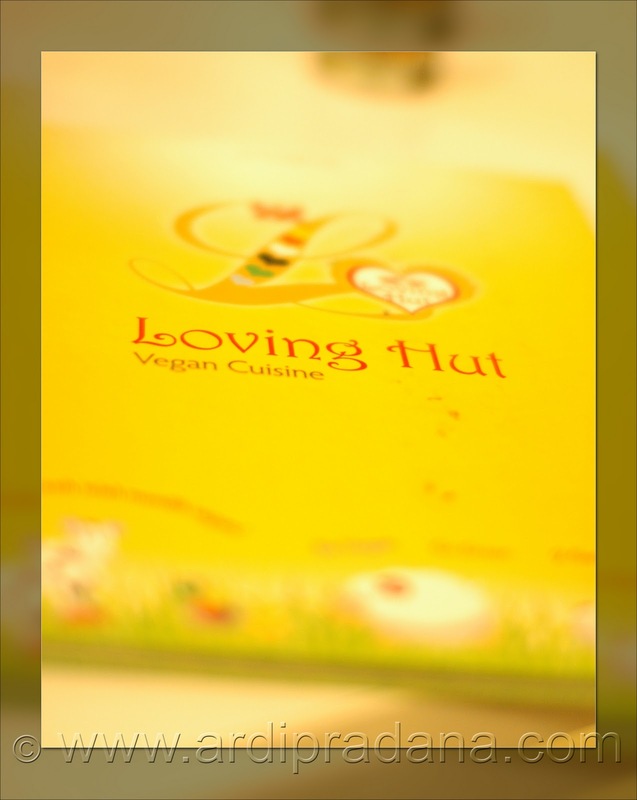 Loving Hut is the newest restaurant that I discovered out of curiosity. The restaurant is filled with plenty of vegan celebrity pictures and some of its campaigns against meat – which was a bit of a turn-off for me. Deep fried wonton was our first dish of the day. 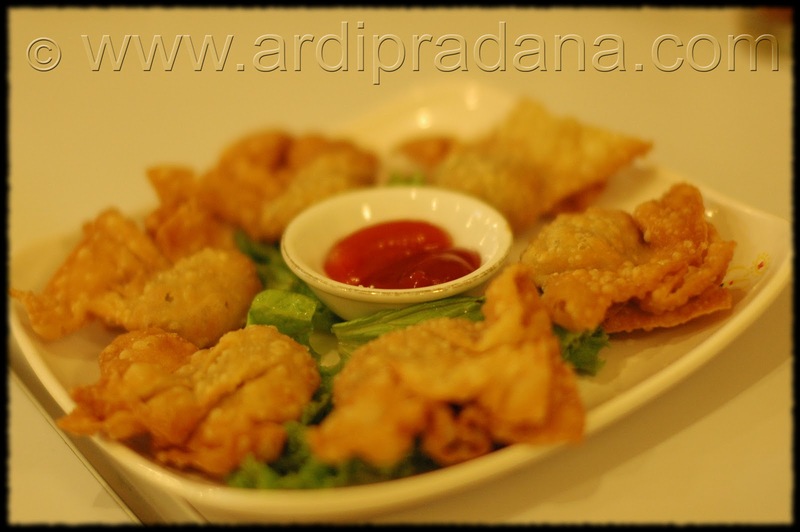 Six golden brown wontons were laid on a bed of lettuce with a simple sauce of chili and tomato. I was pretty pleased with the likeness to the more meaty wontons. With almost similar components the Fried Enoki was served. The mushrooms were wrapped in seaweed and coated in thin savoury crisp. 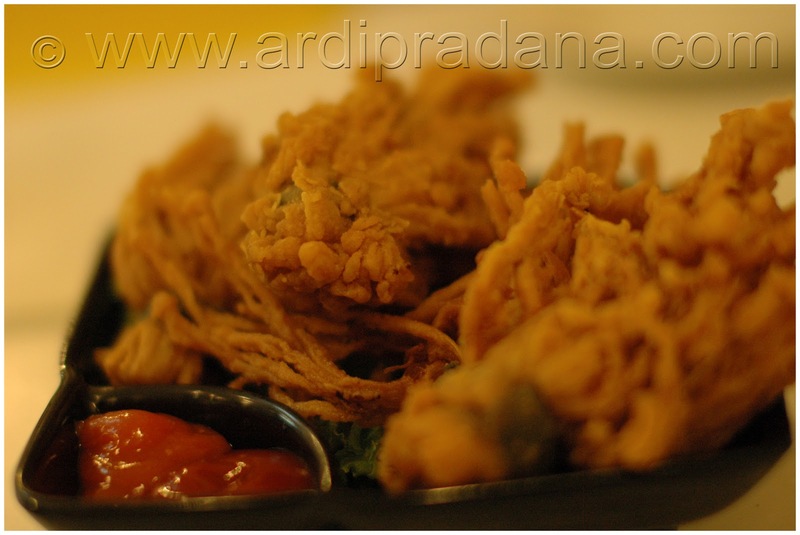 It was the perfect combination of crispy coating and soft mushroom. 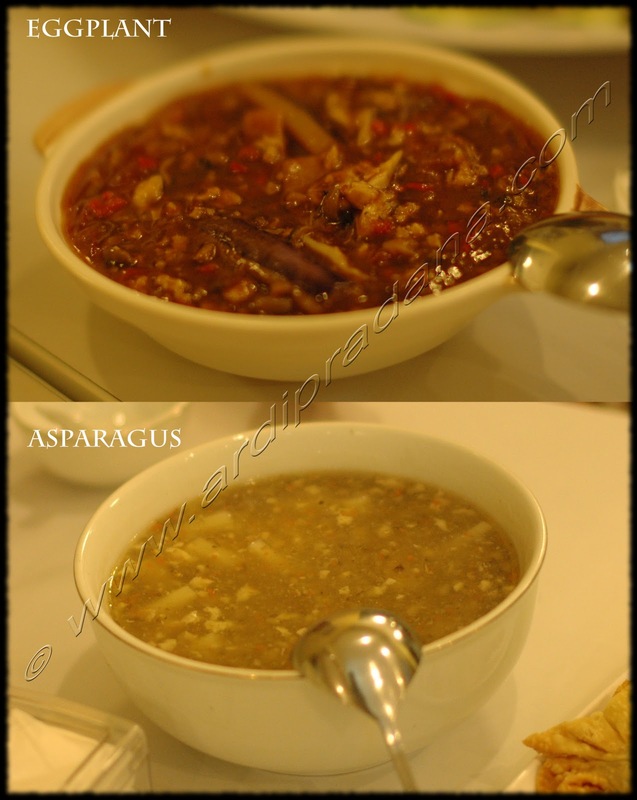 From the vegetable lines, we also ordered Chili Eggplant and Asparagus Soup. Beside the sauce, the eggplants were pretty spot-on. The Asparagus soup was also pretty average. They also served mixed rice dishes, like this Seven Seas Delight with Rice. It has a combination of mock-meat katsu and green veggies. I reckon this would be enough for a simple dinner or big lunch. For the next one, we ordered Fancy Nut Satay. Although, it was supposed to be fancy nut, I could only taste peanut (which was not considered ‘fancy nut’). This factor aside, the satay was great. It was also grilled like the real deal! Tamie Capcay was our next one and it looked like a massive bird’s nest. 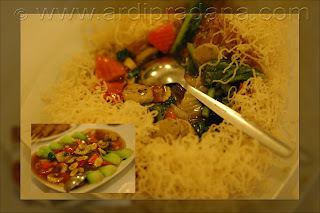 It was very thin noodles, deep-fried and served with Chinese-style stir-fried vegetables and seafood. We also ordered Len Phan Deluxe, I ordered because it was the most expensive dish in the restaurant. When it arrived, we were pleased not only for its size, but also the variety of it. There were six components if you look at the picture. 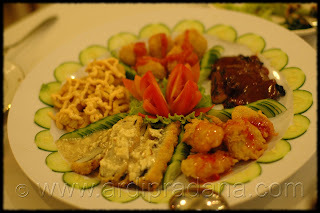 On the right hand corner was what looked like grilled chicken, (then moving clockwise there were) chicken katsu with sweet chili, seafood stick with sauce, calamari and mayonnaise, and bitterballen (meatballs) with chili sauce. Len Phan Deluxe was arguably the most comprehensive and best dish of the night. All of its elements were wonderful. The final verdict: If no one tells you that it’s vegetarian, you would think that it’s the real deal, especially Len Phan Deluxe! The overall taste for Loving Hut was nice but nothing really mind-blowing. Loving hut apparently is also a chain restaurant. Its business model is pretty unique. Each of the restaurants has its own menu, completely different menu. I find it pretty strange since the basic foundation of a chain restaurant is uniformity of menu. Therefore, this review is only relevant to the one in Surabaya, Indonesia. I know one more restaurant that used to have better vegetarian dishes in Sydney but unfortunately that restaurant was brought down to receivership.